The grounds of Haliburton House Museum were historically a community meeting place hosting garden parties, games, and other social gatherings. As a result, they were identified as a perfect location for a disc golf course. In 2017 a community group was formed for the purpose of installing and maintaining a course. Funding was obtained through community partnerships and donations. 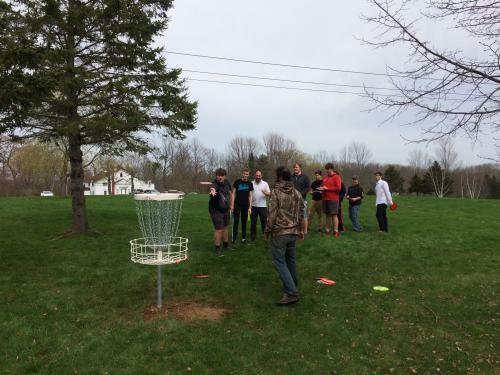 The Clifton Estate Disc Golf Course opened in the spring of 2018 to glowing reviews and was immediately popular drawing visitor from far and wide. The course features 9 baskets and 18 tee box locations spread strategically around the 34-acre grounds and is free for all users. 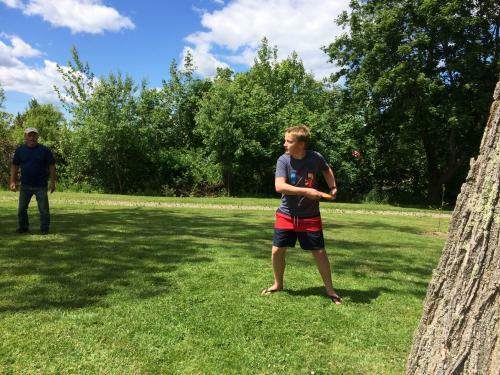 Disc golf (sometimes called Frisbee golf) is a flying disc sport in which players throw a disc at a target; it is played using rules similar to golf. It is often played on a course of 9 or 18 holes. Players complete a hole by throwing a disc from a tee area toward a target, throwing again from the landing position of the disc until the target is reached. Usually, the number of throws a player uses to reach each target are tallied (often in relation to par), and players seek to complete each hole, and the course, in the lowest number of total throws. 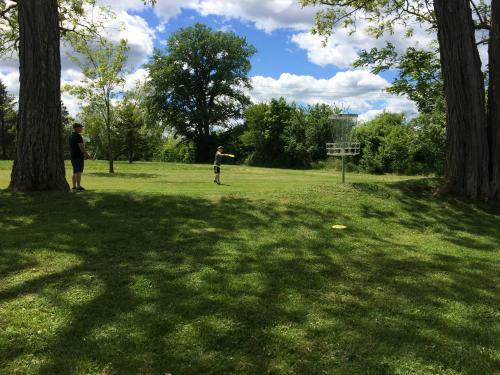 Disc golf can be enjoyed by players of all ages and abilities and is a wonderful way to enjoy some fresh air, exercise, and good company in a beautiful setting. Disc are available to borrow or purchase from Haliburton House during museum operating hours. Disc can also be rented or purchased year-round from The Spoke and Note in Windsor. School and group introductions to disc golf are available at no cost through the Maritime Disc Golf Association. 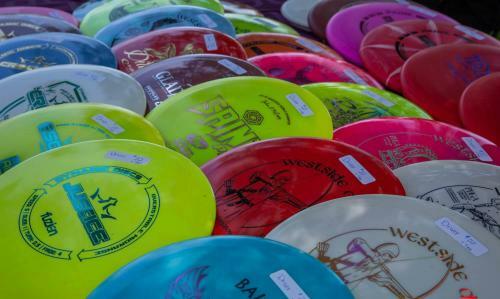 Participants will have access to discs and will receive an introduction to the sport and the techniques. Participants will then have the opportunity to play a round either on their own or with a coach. Every Tuesday evening at 6pm in the spring, summer, and fall an informal community meet up disc golf evening is held. 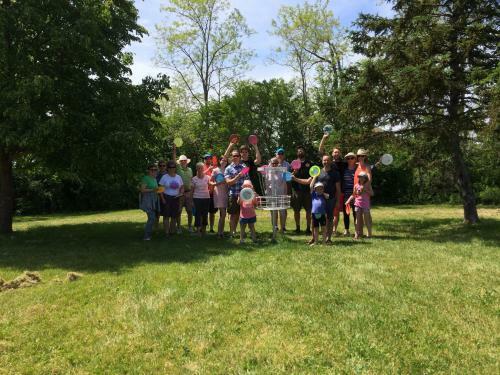 Players of all abilities, including beginners, gather to enjoy some camaraderie, fresh air, and a round of disc golf. Experienced players are always willing to assist less experience players. There is no signup and no cost, simply show up and meet near the course welcome sign in the main parking lot. Object: Play the course in the fewest throws throwing the disc into each basket. Tee Off: Tee throws must be released from behind the tee marker. Player who throws the lowest score on the previous hole always tees off first. After the tee off the player whose disc lies further from the target throws first. Fairway: Throw must be made from where the disc lies. Run-up and follow through permitted. Putt: Within 10 meters of the target a player must not step past the lies when attempting a Putt throw. The hole is complete when the disc lands in the target basket. Out of Bounds: Fenced areas, all ponds, and the roads are out of bounds. The disc must be played from the point within the course where the disc went out of bounds. The penalty for throwing out of bounds is one throw. Courtesy: Do not throw until other players or park users are out of range. Be courteous, take care of equipment, and let faster groups play through. Stay off personal property and be aware of cars and other park users. Please take out what you bring in. Red tees are less challenging. Blue tees are more challenging. 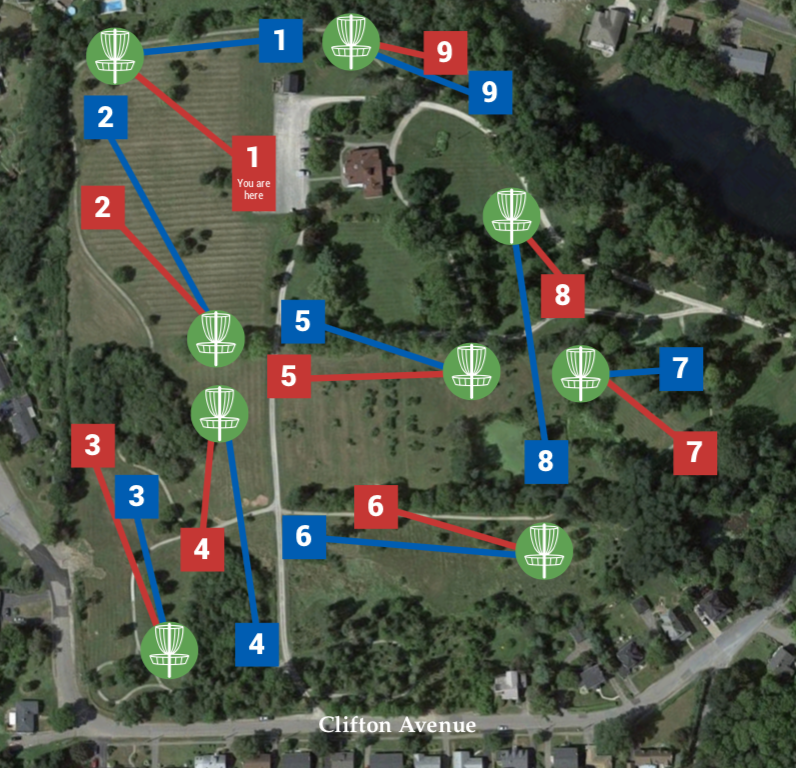 The Clifton Estate Disc Golf Course is open year-round and available to all users free of charge. Parking is available in the main parking lot of Haliburton House Museum during the spring, summer, and fall months. Although the course is always open the main gate typically closes at 5pm. Please park legally on the streets surrounding the property and walk in if you plan to enjoy the course after 5pm. There is no winter maintenance of the grounds, pathways, or roadways. Please use the course and grounds at your own risk. Parking in winter is limited to the streets surrounding the property. Please note the area around the main gate is an emergency entrance and needs to be kept clear of vehicles. Vehicles violating this policy will be ticketed or towed at the owner’s expense. Picnic tables and garbage cans are available near the main parking lot. Washrooms are available inside Haliburton House Museum during museum operating hours.